Michael is a native Texan and a former graphic designer. He’s been covering technology in general and Android in particular since 2011. His interests include folk music, football, science fiction, and salsa verde, in no particular order. He wrote a novel called Good Intentions: A Supervillain Story, and you should read it. Developers, we know you work hard on your apps. So does Google. But they also know that sometimes it’s hard to make apps easy to use when you’re elbow deep in their design. 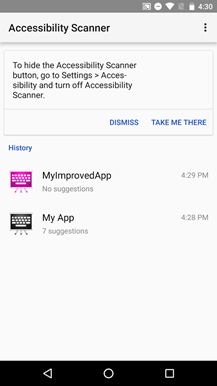 To that end, the new Accessibility Scanner app allows you to check other apps for potential problems or possible improvements in terms of accessibility. It’s a free download in the Play Store, but at the moment it looks like it’s limited to Android 6.0 devices. 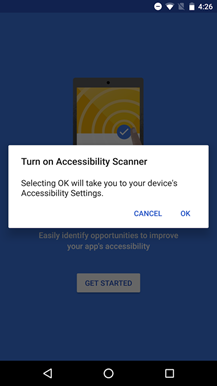 The Accessibility Scanner goes through your app, screen by screen, setting by setting, looking for potential pitfalls for users who have poor eyesight, color blindness, lowered dexterity, and similar handicaps. 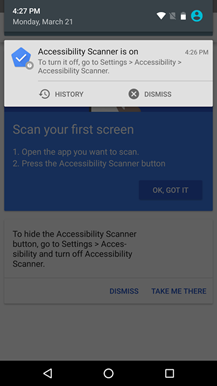 Activating the scan in any secondary app is easy thanks to a floating button: open your app, press the button, and the Scanner takes a screenshot and analyzes what it sees. 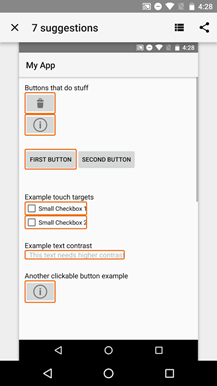 The floating button can be moved around with a tap and drag gesture. 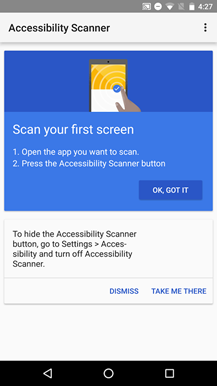 Once the Scanner has collected its screenshots, it will analyze the buttons, text, and other user interface elements, and make its suggestions for changes to make the app more accessible. It even has a tracker that allows developers to see their progress in successive versions of their apps. 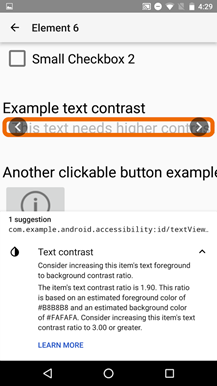 Check it out if you want to make sure your app is as easy to use as possible, especially for differently-able users. This entry was posted on Thursday, June 9th, 2016 at 10:13 am. You can follow any responses to this entry through the RSS 2.0 feed. Both comments and pings are currently closed.